Los Angeles Times gang reporter Michael Lyons has just left his favorite downtown saloon when he is shot and wounded on the sidewalk two blocks from City Hall. After the initial shock, fellow reporters put together a betting pool. The bet? "Who Shot Mike?" There are a lot of contenders. When the LAPD's investigation stalls, the Times runs editorials critical of the police. Then, when detectives uncover an audio tape of Lyons talking to a gang member about the benefits of getting shot, they release the tape. The embarrassed newspaper editor fires Lyons, who then sets out on the streets of Southside Los Angeles with a vengeance to find the shooter. When three seemingly unrelated people are murdered on the streets of L.A., Lyons connects them to his own shooting. The tie-in? An imprisoned, notorious gang shot-caller known as Big Evil, who Lyons made famous in a gang profile and whose younger brother is among the victims. But who is doing the killing? "Streetwise, gritty and authentic...Krikorian takes you on a ride you won?t soon forget." From the Publishers Weekly review of Southside. "The debut novel from Krikorian, a Los Angeles Times crime reporter, is a grim thriller that brings a sense of bleak reality to the streets of Los Angeles. Michael Lyons is a flamboyant 12-year L.A. Times veteran specializing in gangs and well known for his ability to humanize the most thuggish criminal. Krikorian’s language is stark, graphic, and bitterly humorous, not unlike that of George Pelecanos." This is the link to the novel available from Skylight Books on Vermont Avenue in Silver Lake, one of the stalwarts defending the frontline for independent bookstores in Los Angeles. Support them if you can. 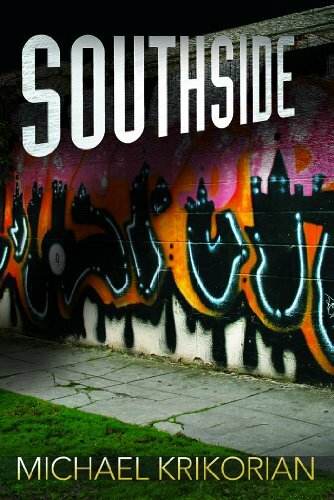 For out of town purchasers, there's this site, which allows customers to choose which indie bookstore they would like to buy "Southside" from, recommending options by zip code.